So this feels like a double déjà vu of last week’s Top Ten Tuesday and the forty fall movies watchlist, but it’s different, okay? Plus college just started again and scheduling is not my strong suit (clearly, since it’s thursday already). Last week’s novels are not necessarily in my READ NOW list, but these are. They range from classics to modern easy-reading, because I’ve found this blend is the perfect way to keep me turning pages without feeling dumb / snobbish / tired of too many fancy words. honourable mentions: Twenty Thousand Streets Under the Sky, and Finding Colin Firth. They would be in this list if only I could have them! I’m scared of being bored out of my mind by this book (so many mixed reviews! ), but ever since I watched the movie adaptation I can’t get it out of my system. Give me an unconventional love story and I’ll happily dive into it, head first. 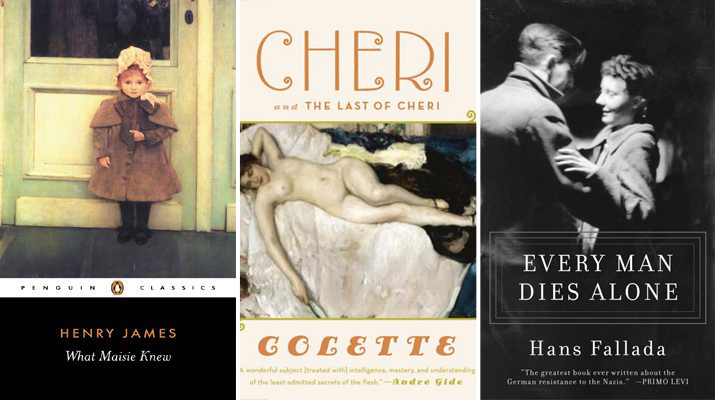 Chéri dwells in a subject still largely untouched: the affair between a woman and a younger man. Back in 2005, Prime caught my eye for dealing with this and I haven’t been the same since. Oh by the way, watch it. I’m not sure what’s making me read this book, but it sounds dark and poetic. Like with Maisie, I’m a little hesitant, but I’ll let you know how it goes. I’ve written about it in my last Top Ten Tuesday, but long story short, I need some quality horror in my life. I’ve started it already actually, just this week, and it’s hilarious from page one. I’ve wanted to read this book since I can remember, and it feels like everyone has read it and loved it. Considering the movie’s depressing qualities, I’ll save it for a rainy weekend when no one can hear me sobbing, and cursing that damn girl. It’s a bit obvious why at this point: every movie fan is pretty much counting the days till the film premieres in his country ( 7! ). I’ll probably pick it up next week, just in time for our upcoming podcast episode about Gone Girl/Fincher movies. Have you listened to our latest with Mettel as a guest? This is just a fraction of the amount of easy-reading novels I go through on a regular basis. I need a break from all those heavy Law books, okay? Finding Colin Firth should be here too (I need it), but in the foreseeable future you can bet on me finishing the Knitting in the City series (three down, two to go! ), and then picking up this hilarious piece of satire where I left it. It’s Jane Austen with a Fifty twist, and I think it begs for a film adaptation. Or at least a short. With Colin Firth. Again, I’ve written about it in my previous post, but basically Donna Tartt is one of the most exciting contemporary authors. I’ll only give a try during Christmas break though, because it is huge. Probably one of the most written about books of the year, We Were Liars has been the star of every book blog in 2014. I’ve read a couple of chapters and there’s a nice flow to it. It’s enigmatic and lovely, and it supposedly has a surprising plot twist at the end. 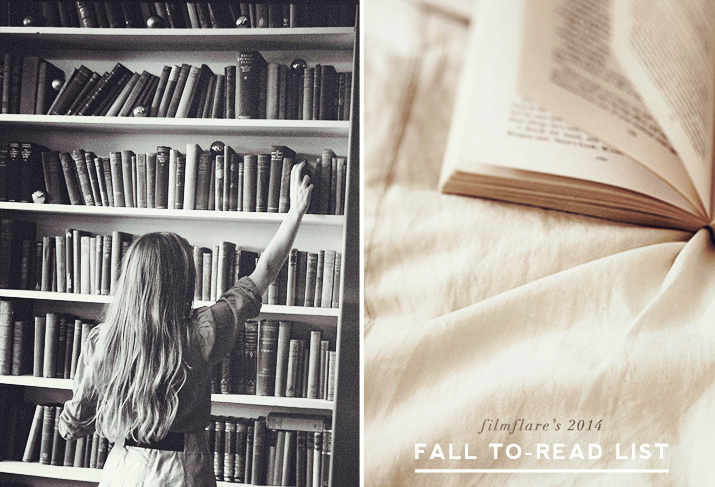 what books are you planning on reading this fall? Gone Girl! I love that one, even though parts of it made me rage. I either forgot or never knew What Maisie Knew was based on a book. I loved that film. The strangest thing about What Maisie Knew is that the book has the same story as the film but it is from the 1897! I honestly thought it would be a modern tale of divorce, like the film. Which I loved too, so good. I hope the novel is as good. Oh you guys are doing Fincher podcast? Nice! I hope you’ll like Gone Girl I loved it and I will fiercely defend its third act as long as I live. Flynn’s other two books are worth reading as well, she is just brilliant. I’ve read the free excerpt some time ago and was intrigued, so I’m counting on liking it! 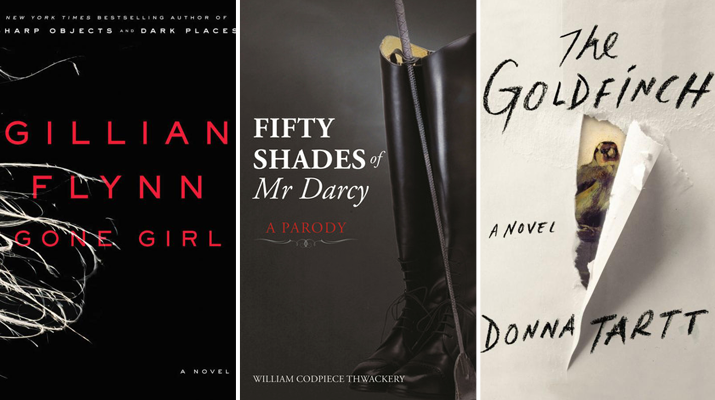 I’ll check the others from Flynn if everything goes well with Gone Girl. Just read and saw Gone Girl, and I agree with you on this one. Loved the ending, made total sense for me. It actually reminded me of Before the Fact, perhaps you’d like that book, too. Chéri sounds interesting, doesn’t it? I have sky-high hopes for it, I’m really excited. Oh I get the feeling: I make lists for everything and end up the same. I’m hoping publicising these “projects” helps. Don’t you feel some pressure about your movie list now that you published it? Your blog is so much QUALITY. Bridget Jones’s Diary is hilarious! I hope you enjoy the book. Great list! I picked it up again just last night – so, so funny. 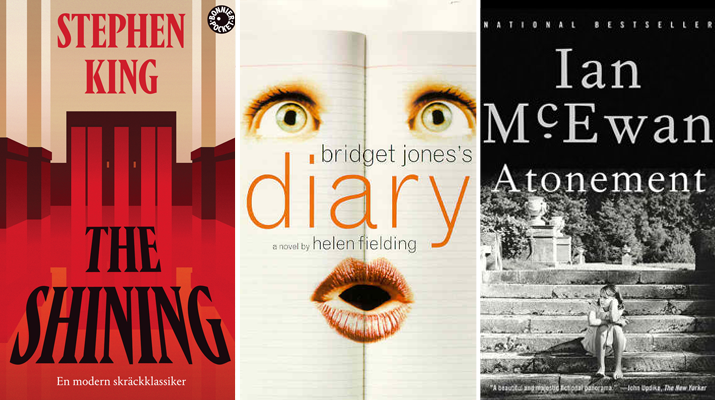 I love Bridget Jones and Gone Girl! I was very bored in the middle part of Atonement. Goldfinch is in my list too. Hmmm in the middle of Atonement (the film) I always get a bit bored myself, but then it’s always worth finishing — hoping it’s the same with the novel? Okay I see Gone Girl is really divisive! I liked the first few chapters so I guess if it stays in that same literary zone throughout it will be okay. The only problem with Chéri is that I could only find french editions so far, and my french is a little (very) rusty! But I’ll give it a go either way. Good suggestions. I will pick up one of those novels to read. Books are everything to me. It’s like when you read, you get to live a thousand other lives. true, books do have that power 🙂 I hope you enjoy the novel! Blood of My Blood sounds really cool! I see it’s part of a series, have you read the previous novels? Do I need to? I didn’t know Isherwood had letters published, I’ll have to read them one day. It’s amazing, isn’t it? Such an old novel about divorce, I would’ve never thought. It’s the finale of a trilogy (started with I Hunt Killers) which is a pretty good YA fiction about a son of a serial killer, so i think you’d need to read it in sequence 🙂 I like Lyga’s works a lot (esp Boy Toy). Gone Girl is definitely on my ‘to read’ list. I’m intrigued by number 1 though as its the first I’ve heard about it. 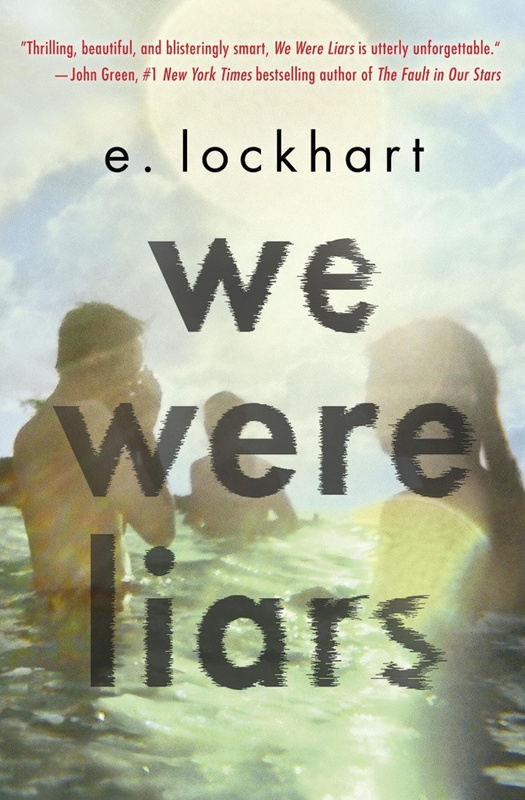 I was intrigued by We Were Liars too, and from the excerpt I read, it looks good! I shall add it to my list! Still got to get through my current book though, a guilty pleasure YA book, The Maze Runner, which isn’t too bad. They can be very addictive 🙂 Tried Divergent, no a fan but Maze Runner is turning out to be better. Interesting picks. I also want to check out The Shining, Atonement and Gone Girl at some point. I can vouch for Gone Girl, it’s one of the best books I’ve read this year.